Pier Village in Long Branch, New Jersey, is entering its third phase of development. 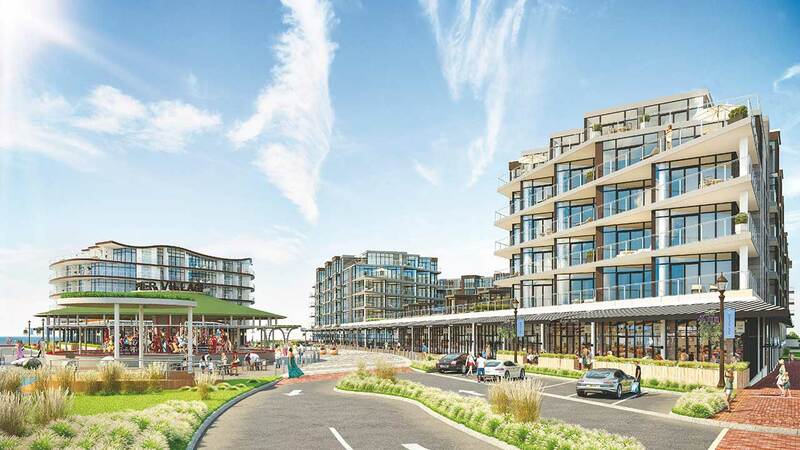 Extell and Kushner Cos. have announced plans for 269 condo units called The Lofts at Pier Village, a boutique hotel, and 40,000 square feet of retail space, plus new retailers have signed on to the existing space. Beach House, an organic Mediterranean restaurant, and Luke’s Lobster have joined Pier Village, as well as high-end retailers Lululemon and Havaianas. Les Canebiers, Sundaze, Coney Waffle, Playa Bowls, and Faustini Wines are also open at the property. The Lofts at Pier Village, designed by Shore Point Architecture and the Childs Dreyfus Group, will offer concierge service, a country club-style lap pool with cabanas and towel service, an outdoor lounge with fire pits and grills, a children’s playroom, and a state-of-the-art fitness center with a yoga studio. “We’re thrilled to launch this next phase with unparalleled public amenities for the entire community alongside a boutique hotel and luxury residences,” said Nicole Kushner Meyer, Principal at Kushner. Construction is expected to begin this fall and the sales office for the condos at The Lofts at Pier Village is now open.